West 10th Dental provides teeth whitening services in NYC. Call 212-982-5883 to learn more and schedule your appointment. 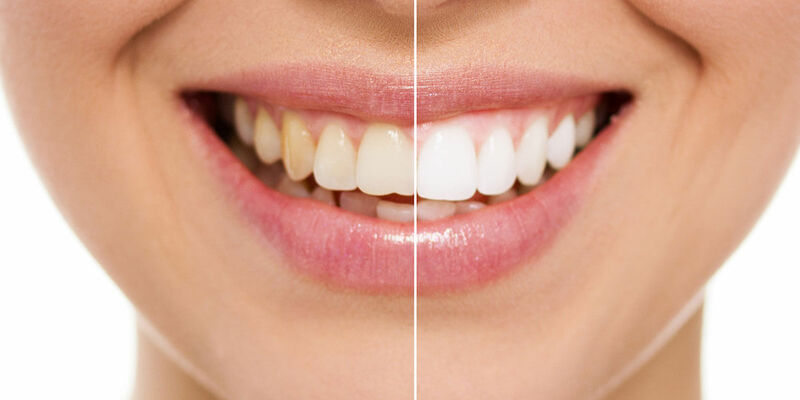 If your teeth are healthy, but are discolored or stained, professional teeth whitening, also known as bleaching, is an easy and effective solution. Please note that pitting and deep staining cannot be treated with whitening, but will require a different solution such as porcelain veneers. For most people, though, it is simply a matter of deciding whether you want in-office or at-home bleaching. In-Office Bleaching: This procedure generally requires just a single office visit of one hour in length. We will place a rubber shield or a protective gel on your gums to prevent the bleach from damaging the soft tissues, and then apply a bleaching agent with carbamide peroxide to your teeth. We use a laser light to enhance the whitening action. Note that in-office bleaching can whiten your teeth by 3 to 4 shades, and we recommend you finish the whitening process at home over a period of 3 days. At-Home Bleaching: If you prefer to whiten your teeth at home, either instead of or in addition to the in-office process, we will take impressions of your teeth to create a customized mouth tray. You will place the carbamide peroxide-based whitening gel in the tray, and wear it at home according to our instructions. We typically recommend 6 days of at-home bleaching, or 3 days if you had in-office whitening first. After having your teeth whitened, you can take several steps to maintain your beautiful smile. First, always practice impeccable oral hygiene and visit us twice a year for professional cleanings. Also pay attention to your diet. After you consume tooth-discoloring foods or beverages such as berries, red wine, coffee, or soda, rinse your mouth with plain water. The less time these stain causers are on your teeth, the less they will affect your smile. Choosing the right lipstick can enhance the look of your teeth. Lip-plumping lipsticks with mint or cinnamon oil, in shades with pink or blue undertones, can hide yellowing. An over the counter whitening kit can also help you boost a fading smile. These kits do not work as well as bleaching, but they can help to increase the time between whitening appointments. Of course, teeth whitening is ultimately a temporary solution that must be repeated. Dental veneers are the only way to preserve a white smile for years to come. The very thin shells of dental porcelain are highly durable and will last for decades with proper care. Please note, though, that crowns, veneers, and other dental restorations do not stain or yellow in the same way as natural teeth, nor are they responsive to whitening. If you have your teeth whitened before getting one of these restorations, you will need to have them whitened regularly to maintain the color match. Likewise, if your restoration was color matched to darker teeth, whitening your teeth will make your restoration appear dull.